A project list allows a professional to keep a track of their projects which helps in better management of the project. A project list is used to capture the important aspects and developments of a project, so that it is easier to streamline the process. A project list is thus, a very important part of ant business. 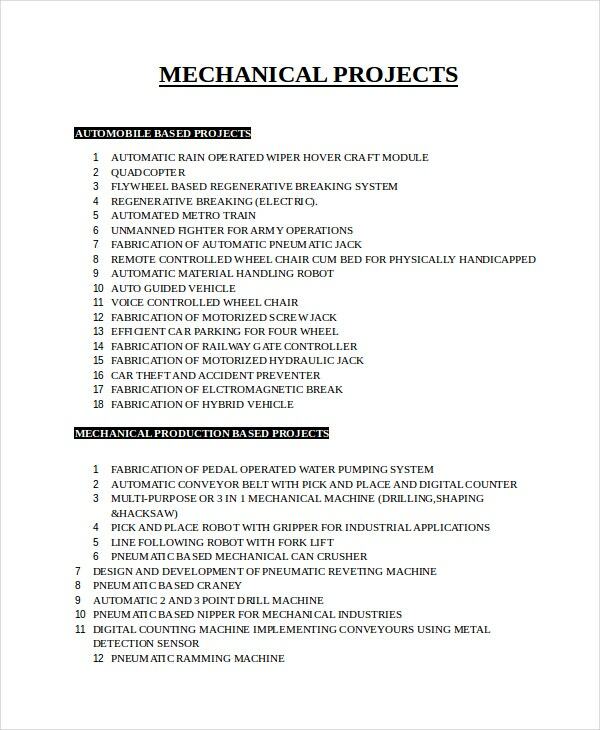 The project list template available with us can be downloaded in different file formats, like Excel, PDF and Word. You can also see Project Estimate Templates. 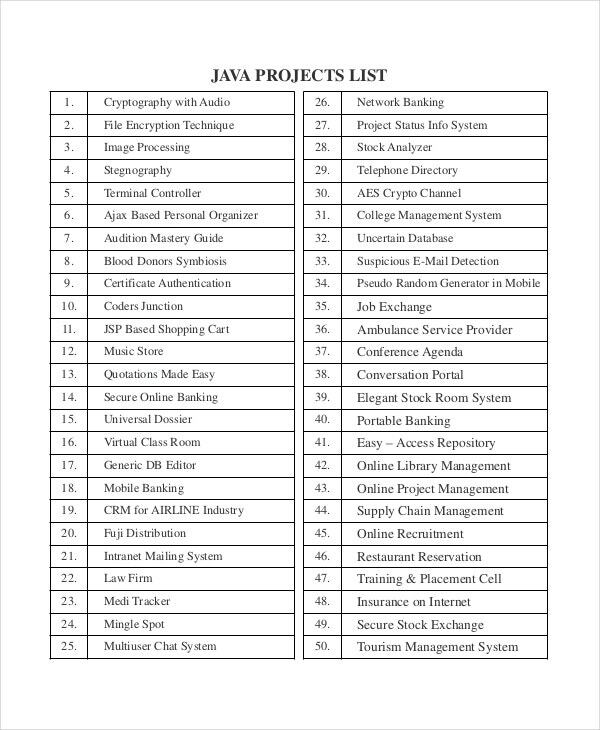 Project list template gives a proper framework for preparing the list. Since these templates are prepared by professionals, they can cater to most type of requirements.Project list templates are used to maintain a list of all the tasks to be done in a project. 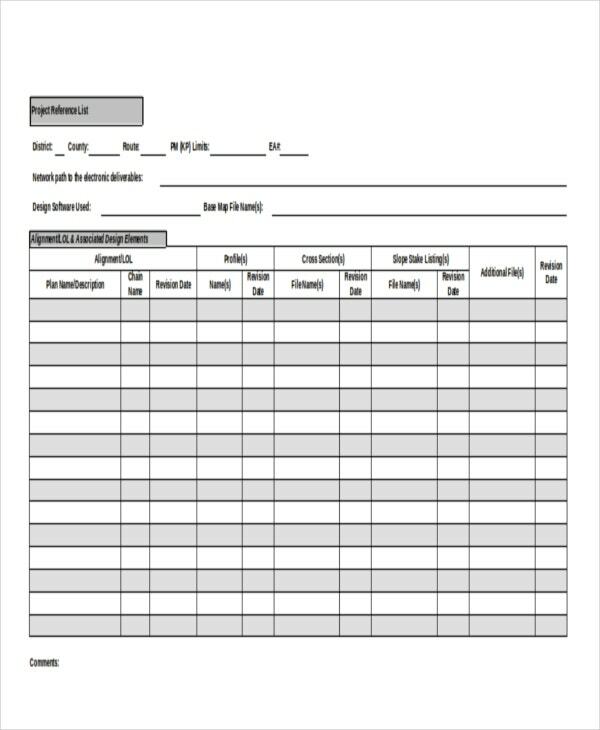 These templates store the tasks in the form of lists that help in the easy understanding of all the aspects of the project templates and thus make your work easy. 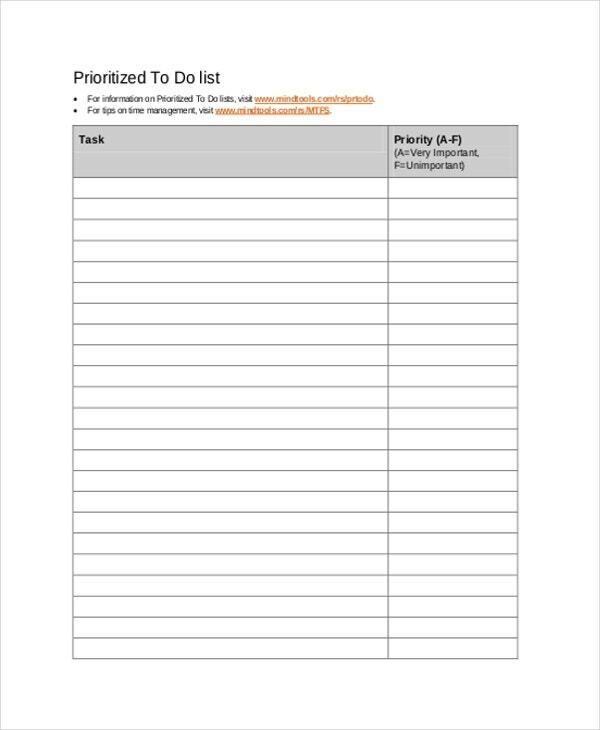 To-do list templates are one of the quickest ways to get to know your project. 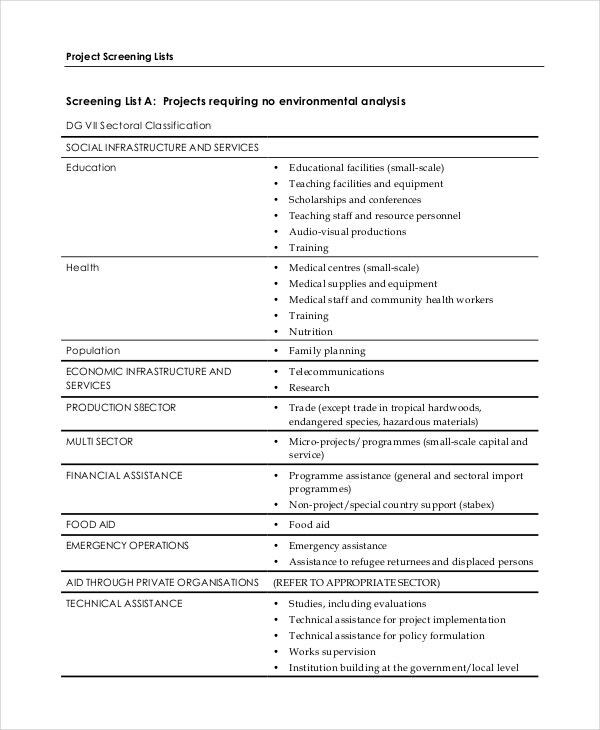 These templates use interesting lists and cover important tasks and portions needed for the project. Thus, these projects provide a scope for easy assessment and supervision which helps in the project’s progress. 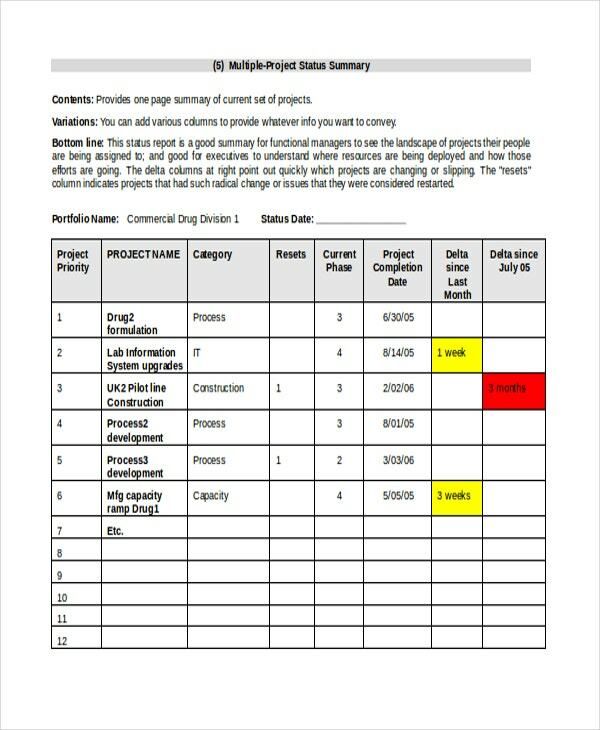 Multi project tracking list templates involve the lists for several projects at once. It saves time and the multi project looks the templates give allow you to think a step ahead of others. These templates are used by big companies to keep an eye on collective projects for better results. You may also see Project Tracking Templates. Project list templates are a better and systematic step towards completing important tasks related to your projects. You will find it easy to work on project list templates as they are user-friendly. Let us see why these templates are reliable to be downloaded. You can also Project Scope Templates. > Why do I need project list templates? 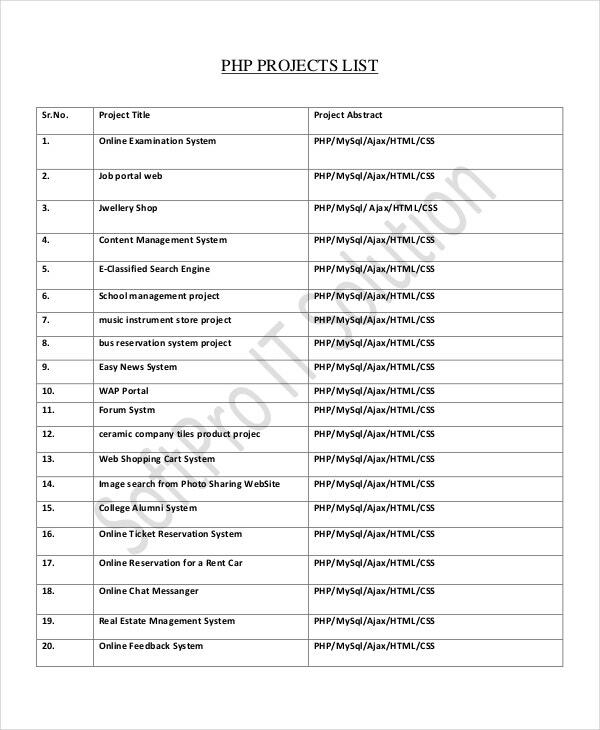 Project list templates give you an opportunity to gather all the basic information about your work in simple, listed manner. This helps in easy, step-by-step approach towards your work and thus, a certain momentum is maintained throughout. You will find that these templates also save your time and prove efficient. > How to create/make project list templates? You don’t need to create project list templates, as they are already created by the best designers who want to help you in projects. 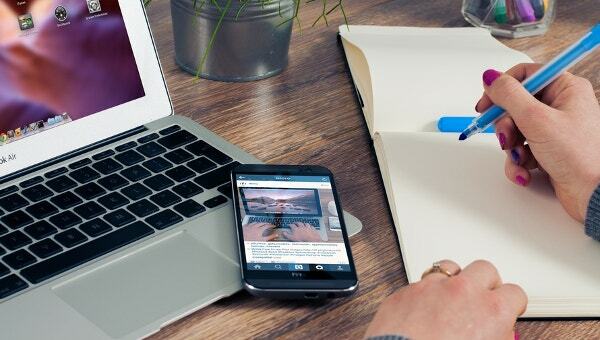 You can simply go to any good template website and download these templates in formats like DOC, PDF, and Excel. These formats make it easier for you to work. You may also visit Project Status Templates. Project list templates are effective as well as helpful and they are one of the best choices when it comes to making your project simpler and more and more systematic. The variations in these templates assure you that any kind of project can be made easier. The detailed way by which the work is performed makes it easy to work with.